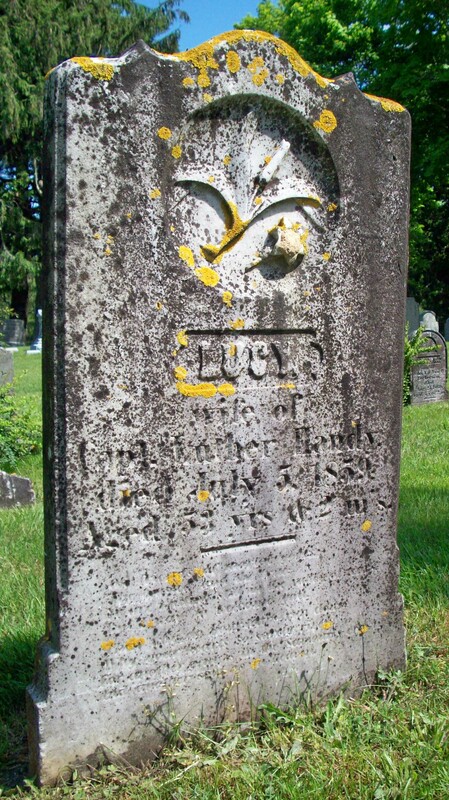 Died: July 5, 1859 in Sandwich Ma. at 53 yrs, 2 mos. To: Luther B. Handy, Capt, Civil War. ; (1802 – 1876) (Sylvanus Handy & Susan Price); Luther married (2) Phebe Hatch Chadwick (1824 – 1892) (Sylvanus Hatch & Tirza (Hatch)) on September 5, 1861; Phebe married (1) Ebenezer Dimmick Chadwick (1810 – 1846) (Elijah Chadwick & Lurana Dimmick) in Falmouth Ma. on October 7, 1839. 1. Luther Handy; (April 13, 1828 – August 18, 1831); Luther is buried in Cataumet Cemetery. 2. Francis Drake Handy; (June 11, 1826 – November 16, 1899); Married Adaline Appleton Swift (1832 – 1900) (William Swift, Jr., Capt. & Sarah/Sally Crowell) on May 9, 1850; They had 5 children. 3. 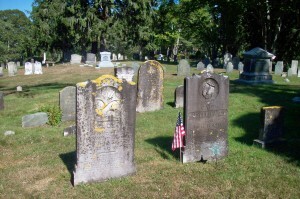 Sarah W. Handy Baker; (May 9, 1830 – November 1, 1906); Married Isaac W. Baker (1826 – 1890) (Elijah Baker & Olive Gifford) in Sandwich Ma. on December 21, 1861; Sarah & Isaac are buried in Cataumet Cemetery. 4. Luther S. Handy; (May 5, 1832 – June 30, 1898); Married (1) Susan M. Gibbs (1835 – 1915) (Robert Gibbs & Jedidah Baxter) on October 4, 1854 & married (2) Amy Dolan Robertson (Abt.1833 – ?) (John Dolan & Bridget (–)) in Charlestown Ma. on November 28, 1871; Susan married (2) (–) Foster & Amy married (1) (–) Robertson; Luther S. is buried in Cataumet Cemetery; Susan is buried in Forest Hills Cemetery in Jamaica Plain Ma..
5. Sylvanus Emerson Handy; (December 6, 1833 – May 31, 1916); Married Caroline Leonard Collins (1838 – 1902) (Jacob H. Collins & Julia A. Reading) on March 25, 1859; Sylvanus & Caroline are buried in Cataumet Cemetery. 7. 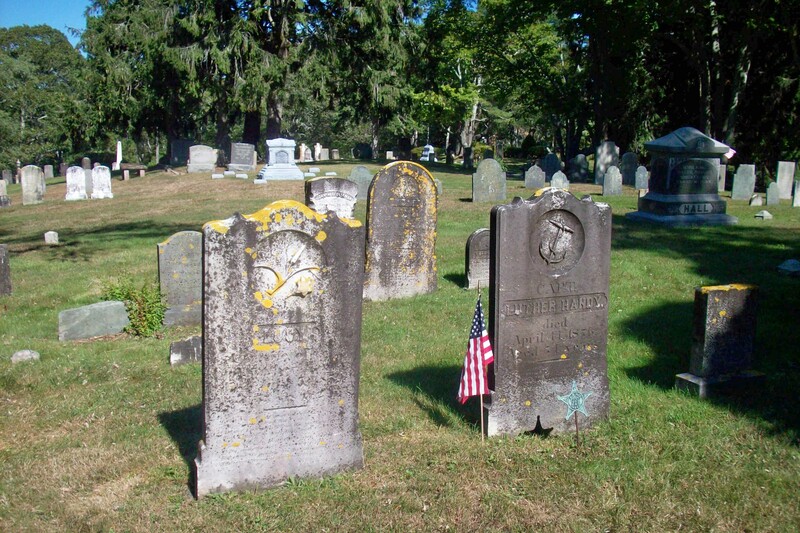 John Thomas Handy; (April 25, 1840 – October 22, 1919); Married Alvira Sanborn Gale (1844 – 1919) (Theophilus S. Gale & Mary Buswell Chase) in Concord N.H. on July 12, 1865; John is buried in Oak Ridge Cemetery in Southbridge Ma. & Alvira is buried in Blossom Hill Cemetery in Concord N.H..
8. Wilson B. Handy; (May 15, 1842 – December 31, 1859); Wilson was lost at sea on a whaler. 9. Charles H. Handy; (March 30, 1843 – ? ); Married (1) Hannah C. Barrows (1851 – 1870) (Isaac Barrows & Calista Westgate) in Wareham Ma. on November 17, 1869 & married (2) Edith W. Howes (1852 – 1876) (Allen Howes & Temperance N. Lewis) in Barnstable Ma. on November 7, 1872 & married (3) Alice A. (–) in probably Colorado on Abt. 1884; Charles was a blacksmith & lived in California & Colorado.